Yesterday, while on my lunch break, I headed to the nearby liquor store to take advantage of their competitive Korbel champagne prices. (What’s it called when you have beer taste on a beer budget?) I wanted to celebrate the positive 2011 performance review I had just earned when I got home that evening. Suddenly, I started laughing. I knew what my next blog post would be about. As it is, I toast to myself every Friday night for making it through another work week, but lately I’ve come up with reasons, mid-week, to celebrate. Last week, it was reaching a significant milestone in a project. 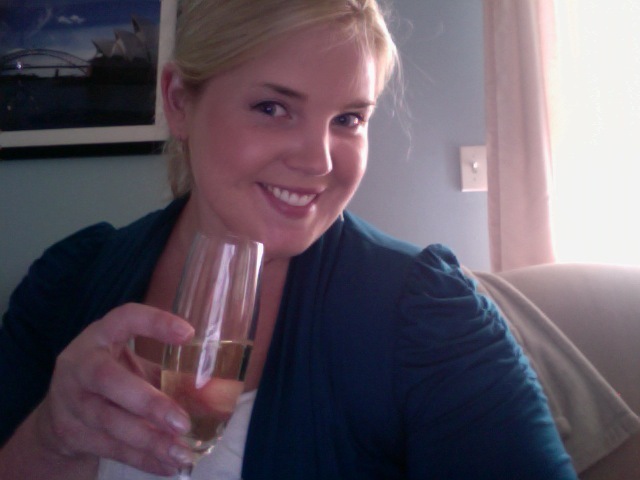 The week before that, I celebrated finding delicious, cheap champagne at Trader Joe’s by drinking said champagne. Next week, I suspect matching socks will earn me some of this liquid happy. This was a tough one for me to give up on the DVR, which only allows me to record two shows at once. Unlike my early dismissal of MTV’s Teen Wolf, I’ve been holding out hope for CW’s The Vampire Diaries. Believe it or not, it wasn’t the brooding vampire brothers, but rather side character, Caroline, who really won me over. She’s got layers, people. Oh Thursday nights, why are you such a cornacopia of television goodness? 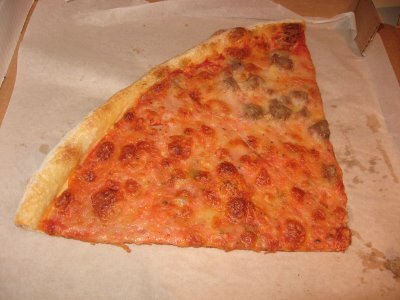 I see nothing wrong with the two giant slices of leftover pizza on my desk, thank you very much. Keep it up and tomorrow it will be egg salad. Something Borrowed. I am completely obsessed. It’s on HBO OnDemand right now, through April 30th (which, incidentally, is my 30th birthday. This movie happens to open with the lead character’s 30th birthday. …I’m seriously starting to see cosmic signs in this. It’s not good. I even downloaded songs from the soundtrack. Intervention? Anyone?). I’ve bawled my eyes out for a week over this movie. I’m still not sure how I want it to end; somehow the happy ending is also the bittersweet one. To me, it takes the road less traveled, as far as romantic comedies go, and despite its inherent cheesiness, there is something so genuine about the relationships. Kate Hudson executes her female d-bag role perfectly, and Goodwin’s sweetie-pie persona is irresistible. Oh! Oh! They even have a whole bit about a chipmunk (chipmunks are kind of my thing, in case you’re new here)! See what I’m saying about cosmic signs? And I haven’t even gotten to John Krasinski yet. Suffice it to say, he’s as perfect as a chipmunk eating Dunkaroos. Like this. 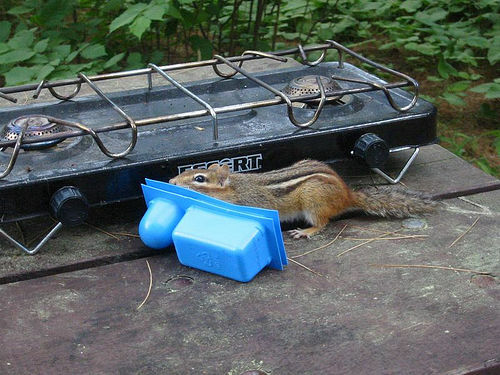 Side note: if you search for "chipmunk dunkaroos" on Google image search, my blog is the first thing that pops up. My work here is done. Are you living the guilty pleasure-ful life? How so? If you’re not sure, would you be willing to try some Dunkaroos? Love pizza for breakfast! What’s wrong with that? Cold Chinese is fabulous, too! And my house is wearing your bracelets! My theory is it’s much better to eat it first thing, when I have the whole day to burn it off 😉 I LOVE having leftovers for breakfast! Your house must look amazing. I love pizza for breakfast, too. And like Renee said, also cold Chinese food. Are you going to the BlogHer conference in August? You should! I actually looked up the details of BlogHer after I saw your comment response on your blog (I’d never heard of it). How cool! I’ve never actually stayed overnight in NYC (always wanted to), despite living in NJ! I’m not sure I can swing it, but I’d LOVE to hear more about it if you’ve gone the a past conference! I’ve heard that quote paraphrased in the past! Reading this made my day. I am not alone. Said Dom Pierre Perignon, the nearly blind Benedictine monk who invented blended wine and bulles (“bubbles”). He was speaking, of course, to his drunken brethren. Veuve means widow — the widow Cliquot. Perfectly charming, Ms. Julie. It’s called perfectly charming. Tasting the stars. It’s so true. This makes me want a glass (er, bottle) of champagne even more than usual. LUCKILY…I’ve got some on hand. You know, ’cause it’s THURSDAY!!! Wooooo! My mornings are like the antithesis of guilty-pleasures. Stretching, exercise, oatmeal… after that, of course, it’s all Ho-Ho’s and heroin. I like Muscato Asti, which, I know, is just a teeny, tiny, fermented step above Koolaid. That’s how sophisticated my palate is. And you’re right – there IS too much goodness on TV on Thursday. My list includes your stuff plus Project Runway and offshoots. Thanks, Susie! It’s very responsible of you to make sure you get in your daily glass of red wine. And don’t forget the dark chocolate. I’ve heard really good things about that show (and that line!) Is it on on Thursday nights?? LOL If so, I’m in trouble! Modern Family is my favorite show right now. Hysterical! My sister just said that”s her favorite too! I’ll have to check it out for sure. I REALLY need to jump on this Modern Family bandwagon! Another guilty pleasure, the new fabulous snap bracelets that arrived on Monday (THANK YOU!! We are having so much fun with them already!) I will also admit said bracelets earned many envious looks when Teen 2 wore hers to school today. She tucked them away in the interest of personal safety. Photos coming soon. 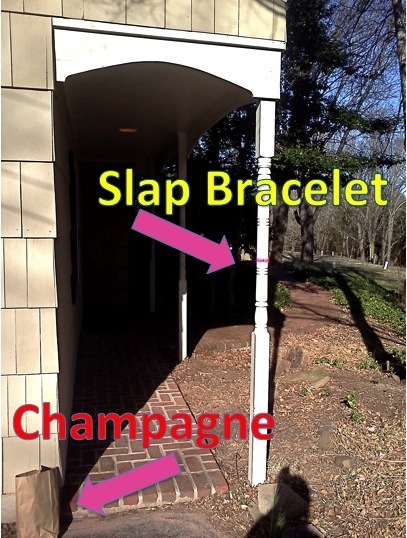 Yay – I’m so glad the slap bracelets arrived, AND were cool enough to make it into school – WOW! I wouldn’t say my life is steeped in guilty pleasures, but I’m delighted by your excellent reminders to indulge them every so often. My guiltiest pleasure at the moment, The Secret Circle, hasn’t released any new episodes for several weeks and I’m getting itchy. Must. Have. My. Guilty. Delight. Other than that, it’s reading. And, OH! I’m going to indulge a lot next week. I’m not sure what I’m going to indulge in just yet, but it’s gonna happen. Ah, yes, The Secret Circle! It looks RIGHT up my alley. I’m afraid. Can I afford another TV show addiction?? Loved this! I would consider my “ABC Family habit” a guilty pleasure. My current obsession is the show The Lying Game. I seriously can’t get enough and get a little depressed during the last few minutes of the show. Did I mention I’m 35 and I have 4 kids? Yes, this show is aimed for teens and yet I feel I relate completely. Loved Something Borrowed by the way, though loved the book even more. The Lying Game definitely sounds like one I’ll have to check out! And I can’t WAIT to read Something Borrowed, now that I’ve been clued into the fact that it was a book (doh!)! When I’m not swooning over Colin Firth, I can be found swooning over Jim Krasinski. Charming! Leanne, this comment inspired me to post a hilarious clip of John Krasinski on today’s blog post, where he does his marionette impression! I’m pretty sure Something Borrowed is based on the book which is good, you should read it. Haven’t seen the movie but I’ve read the books. I think there’s a something blue and something something. Also what is this Trader Joes champagne you discovered! Tell me more! Oh and dang it, I meant to get the name of the champagne before my husband took out the recycling this weekend. It’s $8 and comes in a cloudy-clear wine bottle, so it looks yellow. There’s another kind for $12 in a black bottle that I like even more, but then we’re talking the same price as Korbel, so… They’re not sweet, these two. If you like sweet, the almond-flavored one is good (Almond Creek Vineyards). Thursdays are insane! I have to employ TWO DVRs to get all of the shows. Insane. I am seriously considering having a glass of wine right now. I mean, Thursday is practically Friday, right? And the weather is so lovely. It’s wine weather. I am almost at that point, too! (Two DVRs.) And it is totally wine weather. It’s gonna be in the 70s all week, I think. That calls for a whole case of wine. That’ll get us through to Friday, and then it’s vodka time. I’m definitely close enough to do the commute into the city and not stay over…maybe I will come on the Saturday for the day?? And mostly because I’d love to meet you and Thoughtsy, too!! Brilliant – nice to see you have a balanced breakfast! Pizza for breakfast is heaven. I loved your egg salad threat. My guilty pleasure this weekend I will have one glass of white wine if I can get over this cold…oh and I’m reading a Stephen King book on my kindle app (always said I’d only read ‘real’ books, I am living on the edge I tells ya, Jules) And there is root beer and vanilla ice cream in the fridge just waiting for me to put the two together, so I am all about the guilt this weekend. Darla is having a glass of wine?! AND reading on a Kindle?! (Sorry to hear you’re still fighting a cold, though!) I need to sit down. Can you please pass me a root beer float? Except hold the root beer and ice cream and hand me the wine instead. Oh yeah, I’m livin’ on the edge. No cold anymore. I am feeling back to normal now. I think the wine helped. Lovin’ the “…if you search for “chipmunk dunkaroos”…” Will have to try them sometime! I will be having all kinds of guilty (or for guys, guilt-free, cuz we don’t do guilt) pleasures this weekend. A movie, popcorn, a trip to San Diego, frozen yogurt, DQ blizzard (don’t hate, they’re two-for-one), just to name a few things. A guy’s got to have fun. Oh, and I love Ginnifer Goodwin – she is uber-cute! I have been known to work the graveyard shift and sometimes I’ll come home on a hot summer’s morn, throw a steak on the BBQ, and have a beer while grilling… at 8:00 a.m. The kids walking down the street to meet the school bus sometimes give me a funny look and if they are thinking to themselves, “I heard about guys like this in Health Class”. LOL! This comment made me howl!